It's believed that Rey Mysterio is very close to finally making his WWE return, according to the Wrestling Observer Newsletter. The Mysterio - WWE talks have gone on since the former WWE Champion made his return at the Royal Rumble earlier this year. Mysterio's final indie dates appear to be the first weekend of September. He's been announced for a big six-man at the All In indie event on September 1 and he has another booking the next day, which could be it. WWE officials pushed the idea of bringing Rey in sooner, mainly to keep him off the All In event. Rey spoke with Noelle Foley at the San Diego Comic Con last month and said he wants to finish his career with WWE. "It is in my agenda. 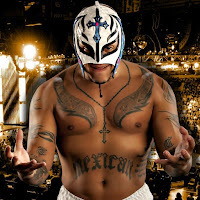 I would definitely like to close out my career with WWE," Mysterio said. "With that being said, I don't have much left on my watch. So I'm thinking anywhere from three to five years and I can really see a possible return to WWE without a doubt."